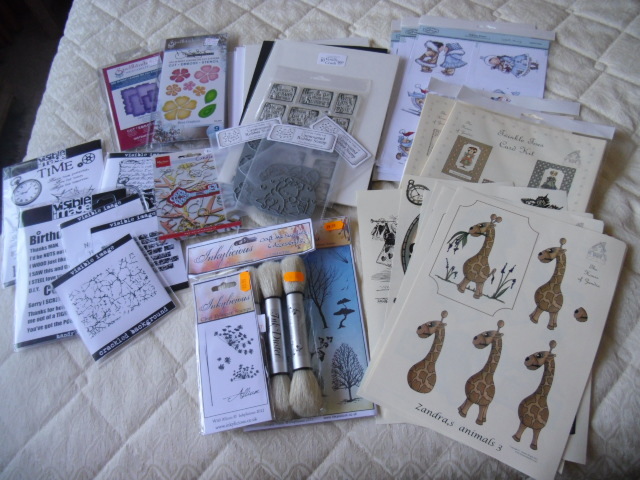 Sounds like you had a great time at Ally Pally and you certainly found some great crafting goodies and will look forward to seeing what you make. Fab card as usual Sylvie! Great image and colours. That's a gorgeous selection of new stash! 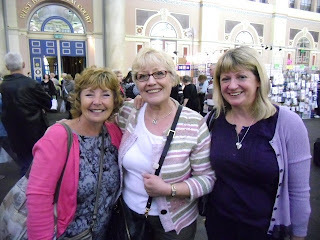 Here I am thinking Ally Pally is too far away to travel for a craft show and you go all the way from Gibralter, lol! Glad you had a good time. Well, Sylvie, isn't this the neatest card!!! I love your coloring, as always and your wonderful style! Such a joy to see, brought a smile to my face! I'm sorry you're having probs with blogger - I'm not very techy so I can't help, sorry! Sometimes it's just a glitch with blogger itself so hopefully they will fix it in the background. I'm very jealous of your goodies! 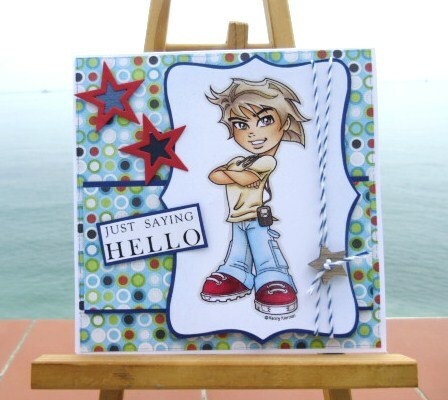 And your card is so fab - perfect for a guy! Wow - looks like you had FUN! Fabulous card! Looking forward seeing your new creations with your purchases! Gorgeous card Sylvie. You look like you had a fab time with your friends. Sweetie my blog elements are from Plumrose Lane. Some are free and some you pay for -it's worth having a look she has some fabulous themes. It is fairly easy to do and she has tutorials on how to do it too. Click on the top left corner of my blog to take you straight to Plumrose Lane blog. Sorry for my delay in commenting on your card Sylvie, it seems I am one of your followers who isn't getting your posts showing up on my reading list, I don't know why. Anyway, your card is fabulous. I love the image and wonderful colouring. A great card. That young chap looks like he has a bit of attitude LOL!!! It sounds like (and looks like) you had a fabby time at Ally Pally. 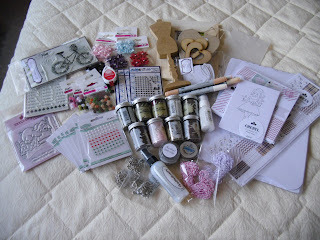 Lots of lovely goodies there that I am looking forward to seeing you put to good use. Sorry I can't help on the blogger problems you are having but hopefully it will sort itself out soon. Looks like you had lots of fun at Ally Pally...lots of nice shopping there! Oh what a wonderful fab card. Like Viv can't add you to Bloglovin' either it doesn't recognise your blog which is why I've discovered I've missed some posts. But I've now following by e-mail.